malpua recipe | malpura recipe with detailed photo and video recipe. 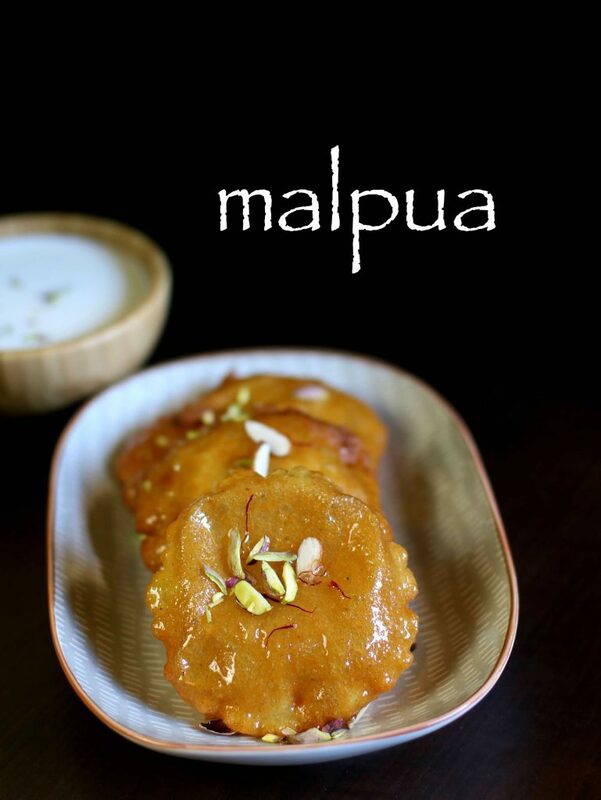 an exotic pancake dessert snack which is hugely popular for the combination of malpua with rabri. this recipe is also known as bengali malpua recipe or instant malpua recipe because it is prepared with normal milk. it is typically served with the non vegetarian curries like mutton and chicken curries during feast or any religious events. malpua recipe | malpura recipe with step by step photo and video recipe. 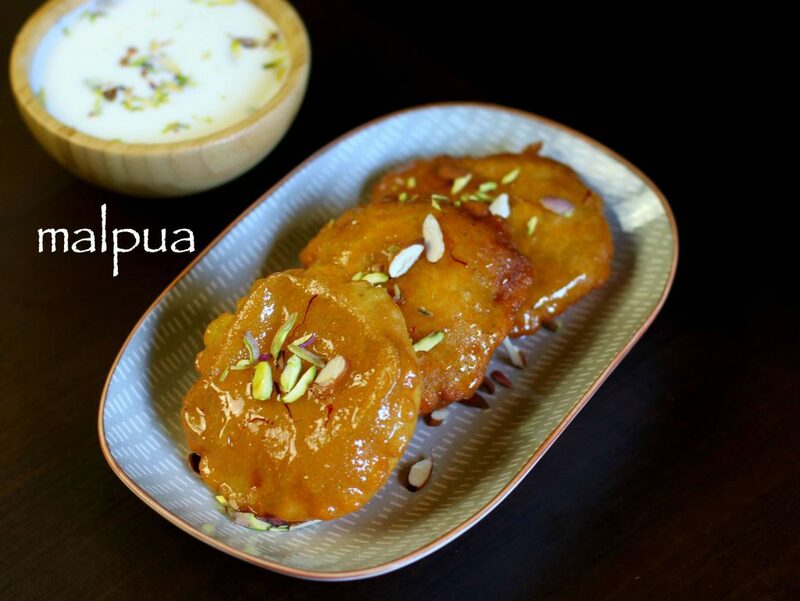 basically the batter of malpuva recipe varies to region to region and it is prepared with khoya, rabri, evaporated milk, normal milk and even with fruits like banana, pineapple and mangoes. malpua sweet is popular dish in odisha, bihar, bengal and even in bangladesh muslim families and is prepared during the holy month of ramadan. 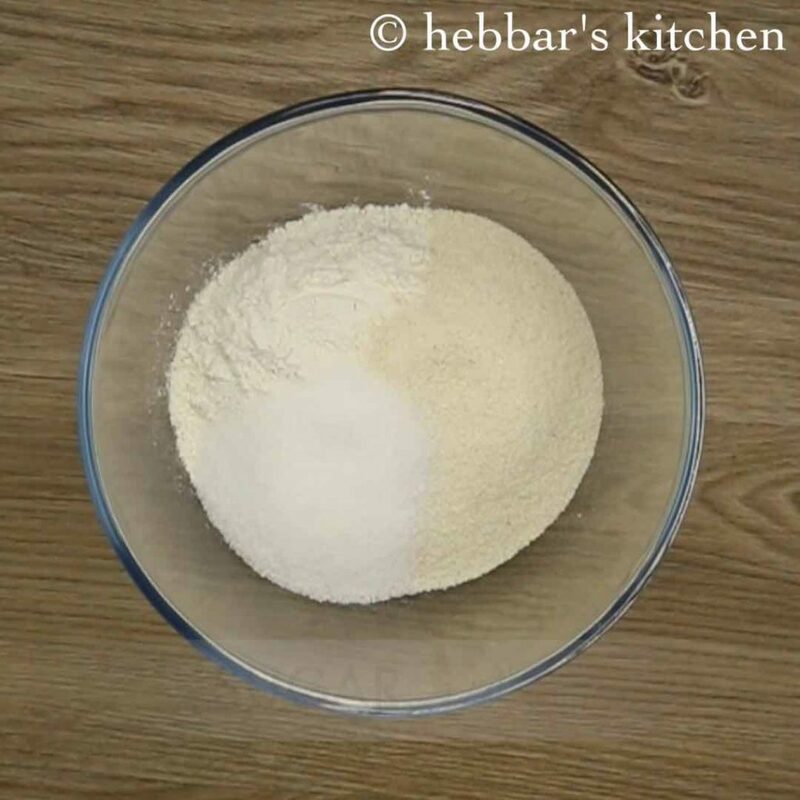 this is a simpler version of malpura recipe and in this recipe i have used normal milk and mixed with all-purpose flour or maida. this is also known as instant version as compared to traditional one which is prepared with khoya which can be time consuming. hence i thought to share the easy and quicker version of malpua first rather than the complex method. i have used the milk to combine with maida, rava to form thin batter which is then poured into hot ghee or oil. later it is then dipped in sugar syrup which gives it a crunchy and crispy texture. 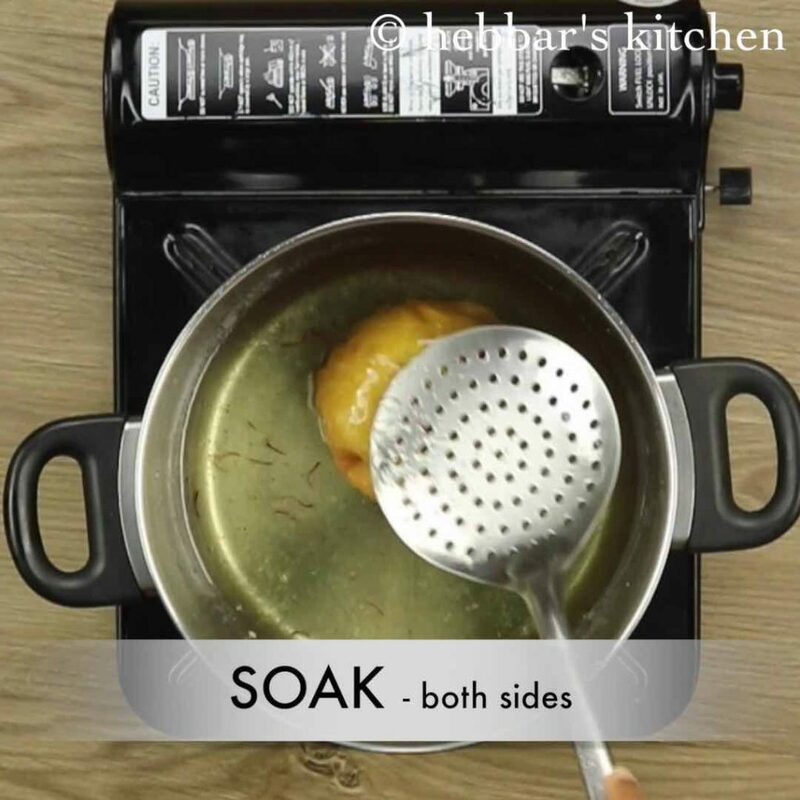 while the preparation of this recipe is extremely simple, but i would like to highlight few tips and considerations. 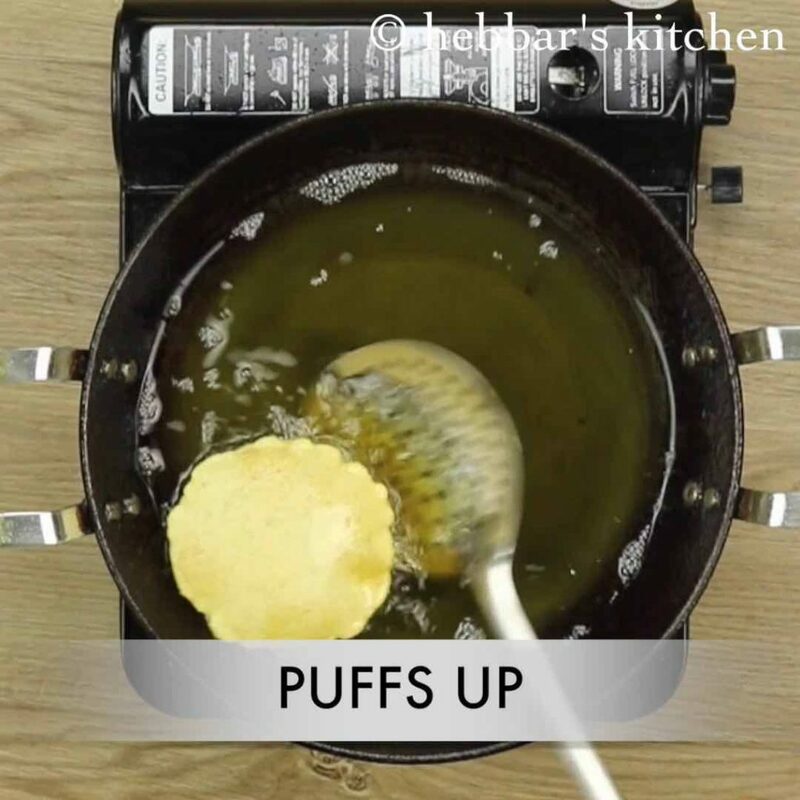 i have not added rice flour in this recipe but adding to batter would result in a crispy and crunchy malpura sweet recipe. 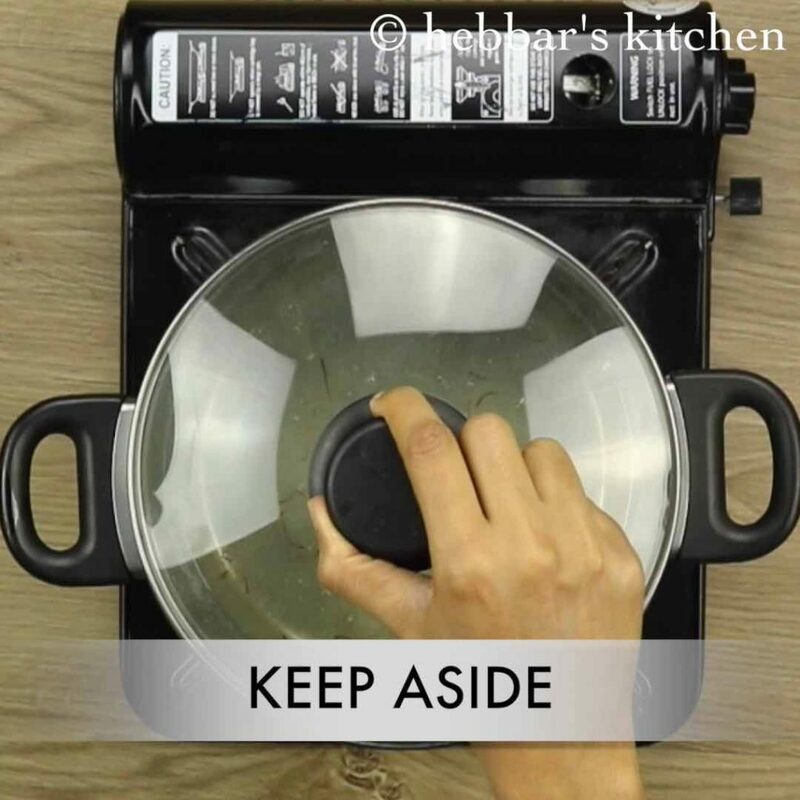 secondly, the batter has to be thin and running hence adjust the consistency of the batter by adding more milk or water. 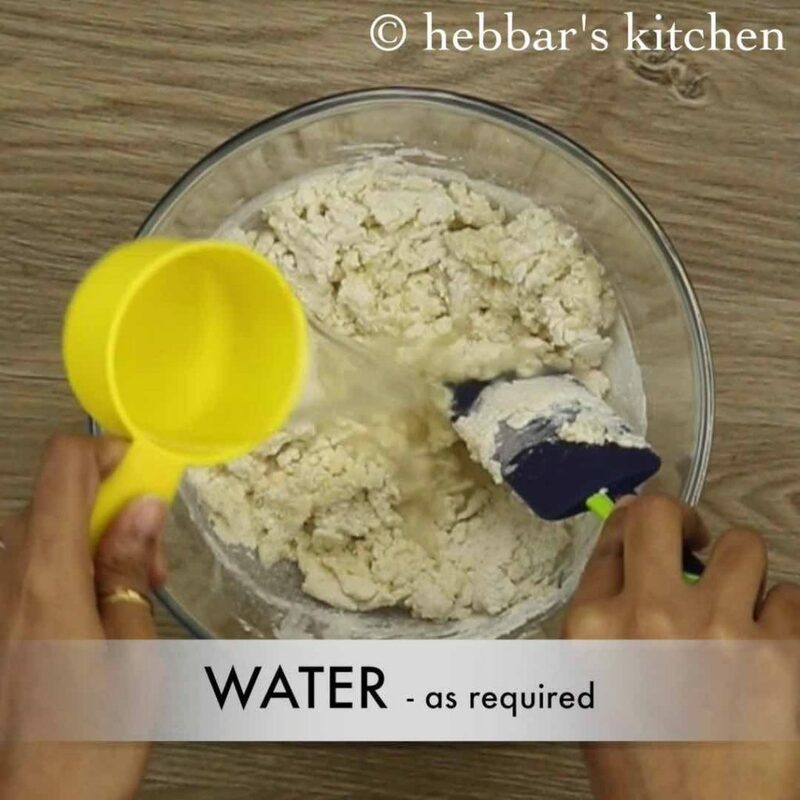 if you see the batter is too watery than add 1-2 tsp of maida to make it thick. 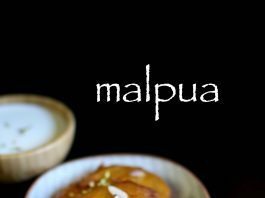 lastly and ideally the malpua sweet is served with rabdi recipe, but it can eaten without it by topping it with chopped dry fruits. firstly, in a large mixing bowl take maida, rava and sugar. also add fennel powder and cardamom powder. 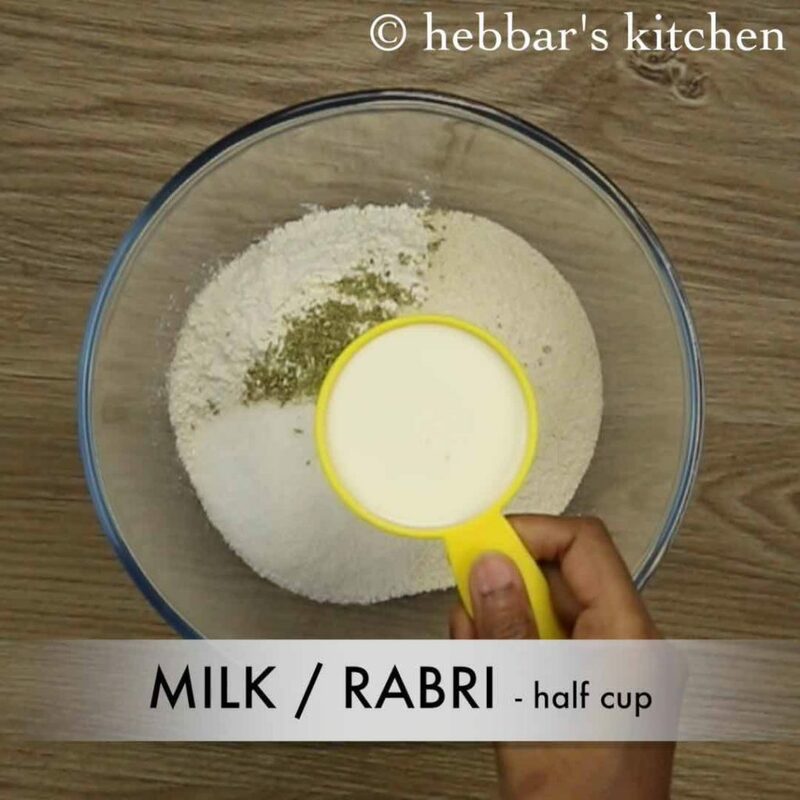 further add milk or rabri. 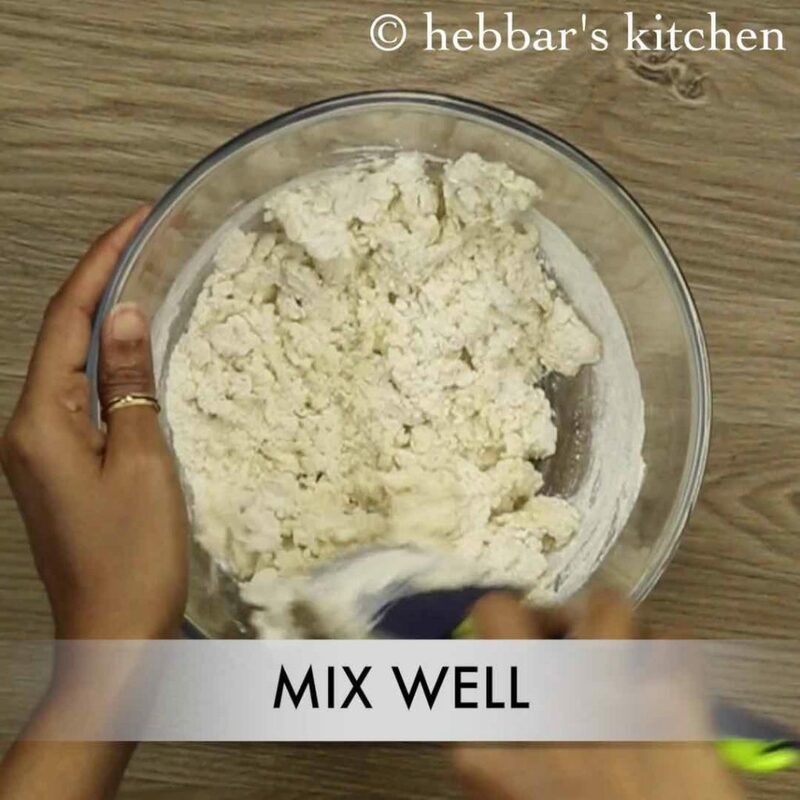 mix well making sure there are no lumps in the batter. 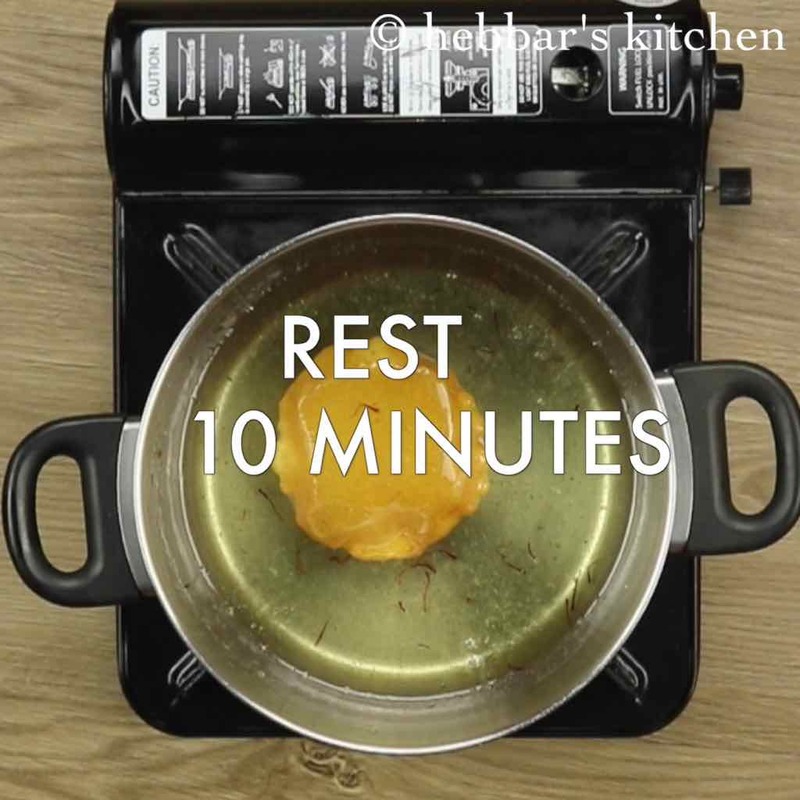 make sure the batter is of smooth poring consistency. 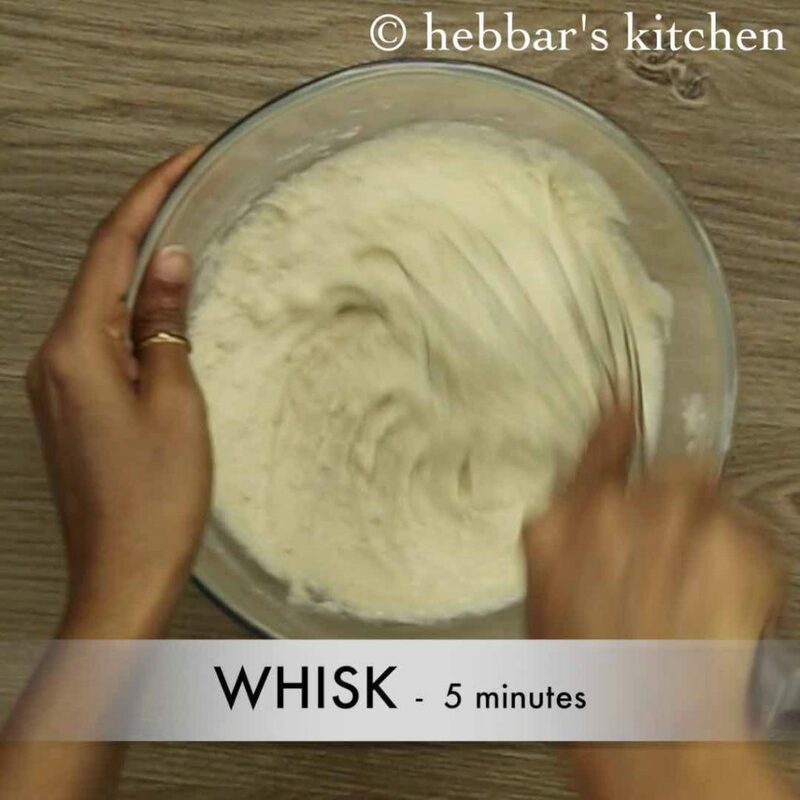 further whisk the batter for atleast 5 minutes. 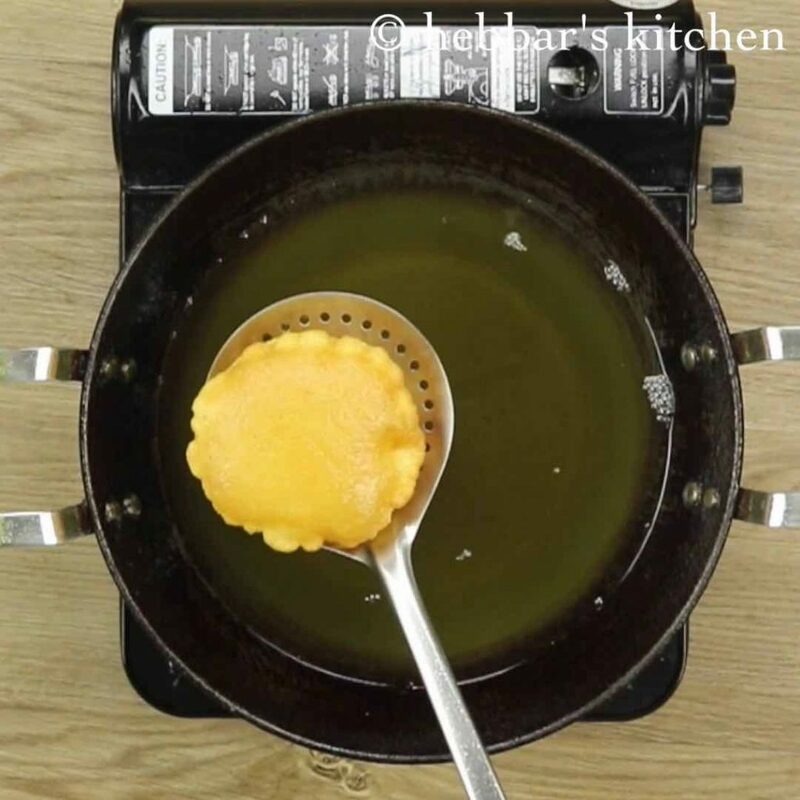 pour the batter into hot oil / ghee. 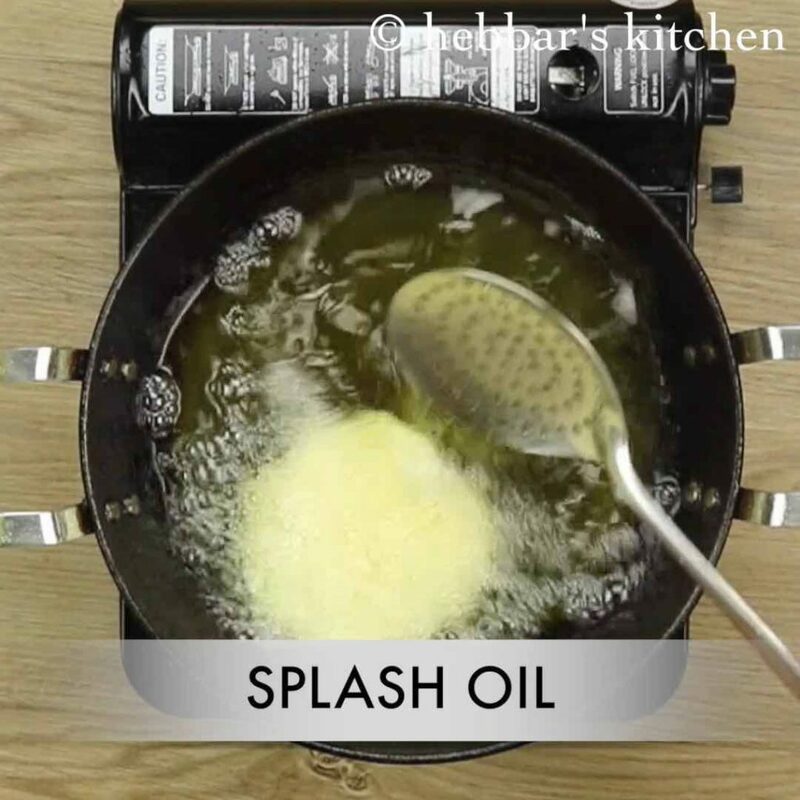 once the malpua starts to float, splash oil over malpuas. and also press gently with the help of perforated spoon. the malpuas will puff up like poori. now fry both sides till they turn golden brown. now soak the malpuas into hot sugar syrup. rest for 10 minutes making sure both the sides of malpua are soaked well. finally, serve malpuas hot with rabri and garnished with few nuts. 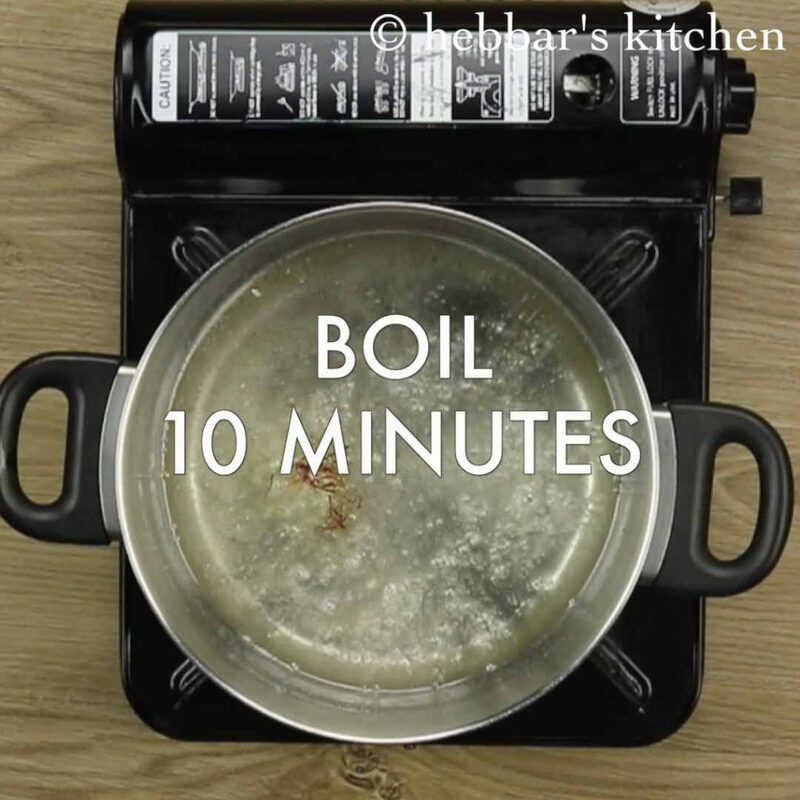 further, to that add half cup of water and get to a boil. 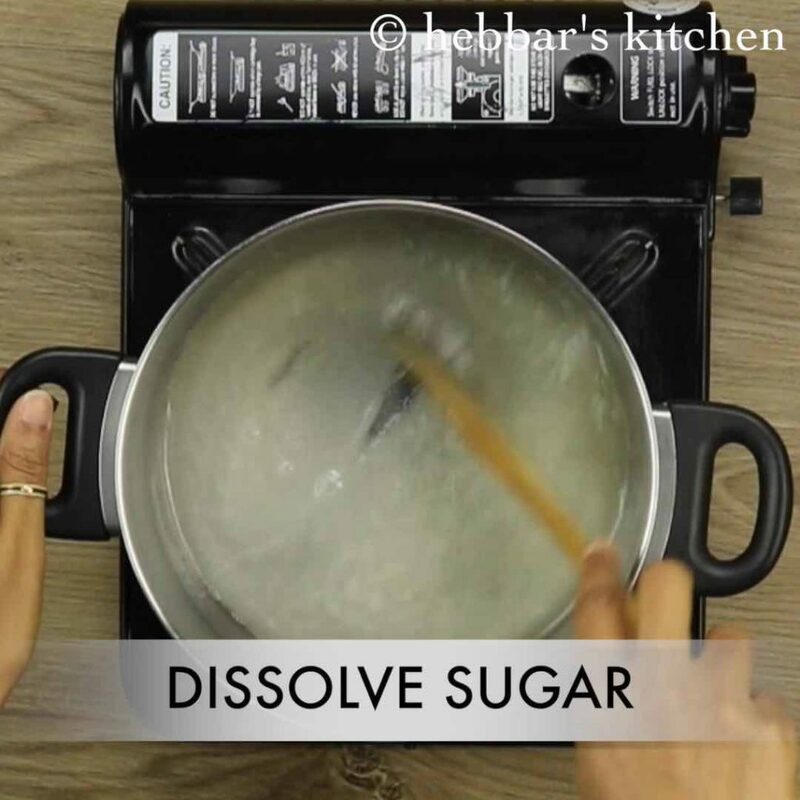 dissolve the sugar syrup completely. 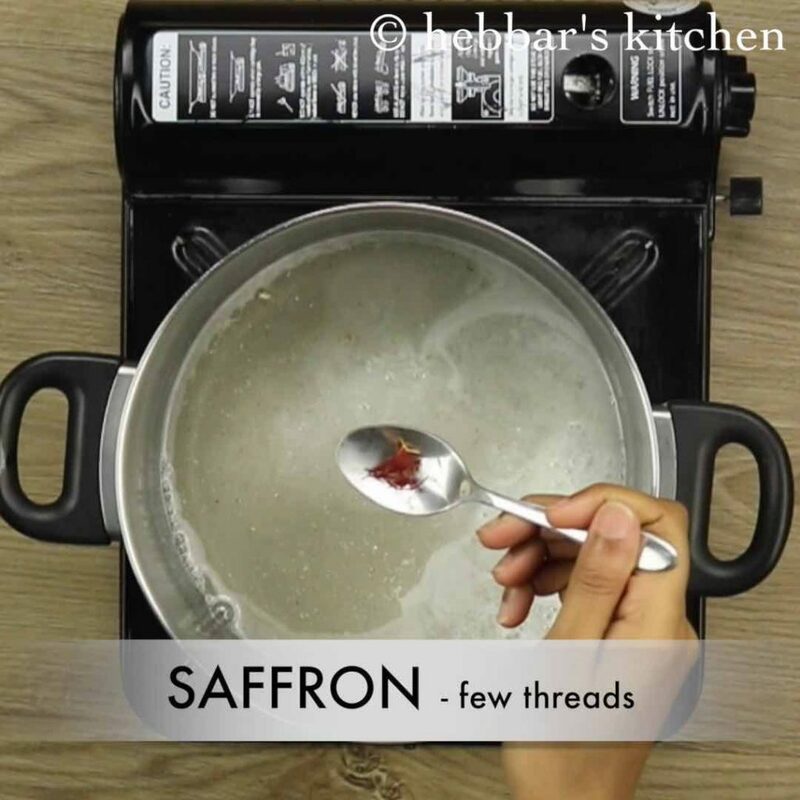 now add cardamom powder and saffron threads. and then simmer for 10 minutes till the sugar syrup turns sticky. 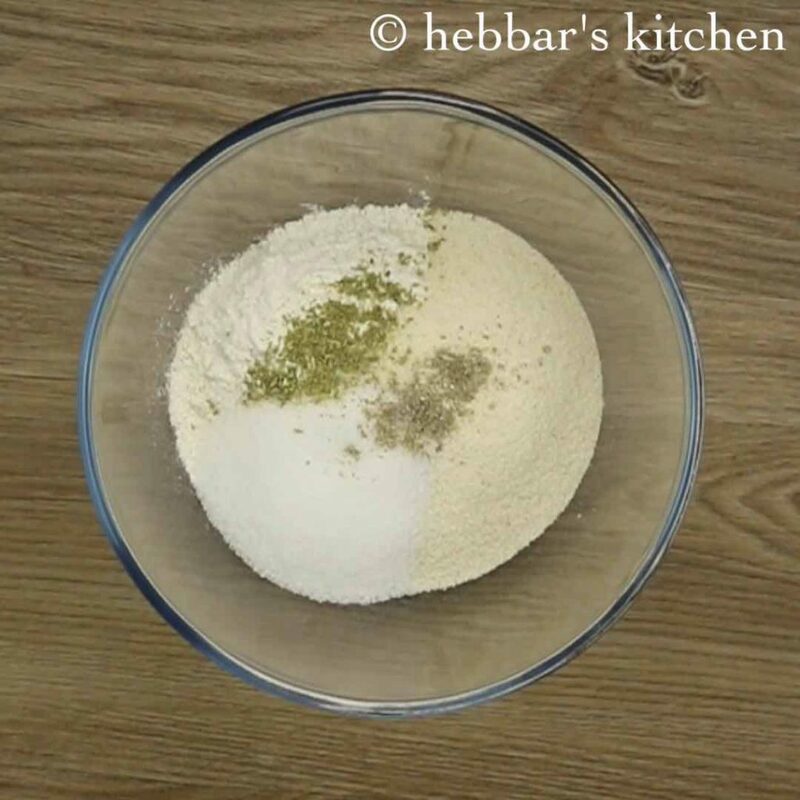 firstly, in a large mixing bowl take 1 cup maida, ½ cup rava and ¼ cup sugar. further add milk or rabri. add rabri to make more rich malpua. 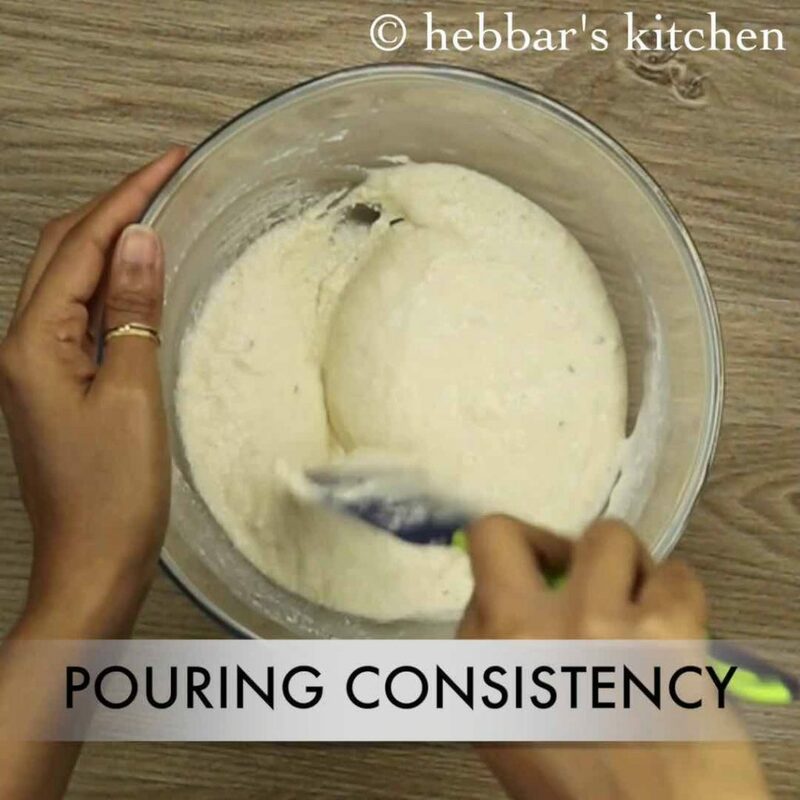 make sure the batter is of smooth pouring consistency. 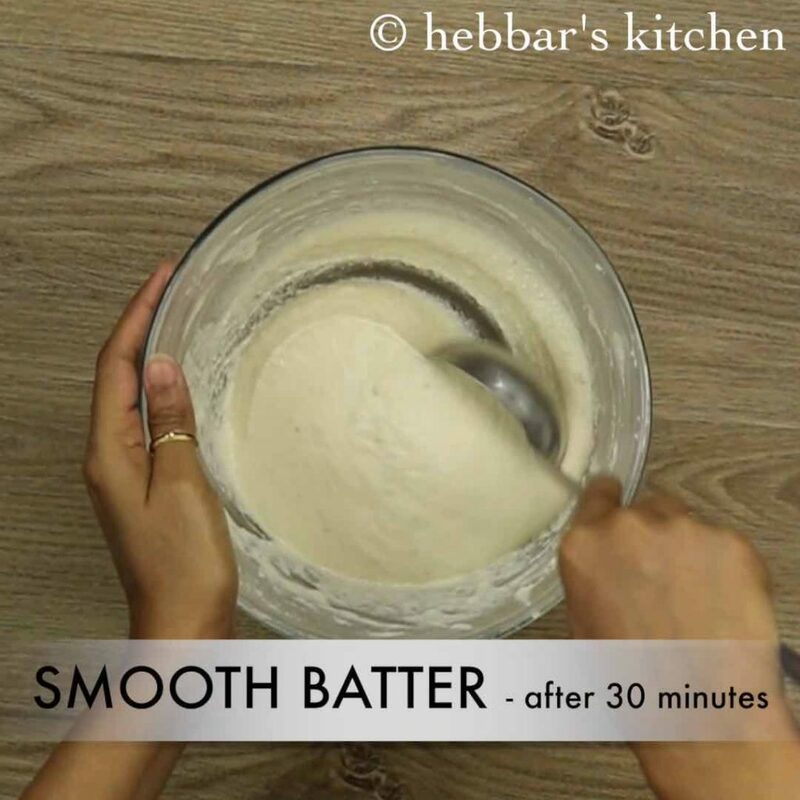 further whisk the batter for atleast 5 minutes. so that the batter turns light and fluffy. mix the batter again and take a ladleful of batter. 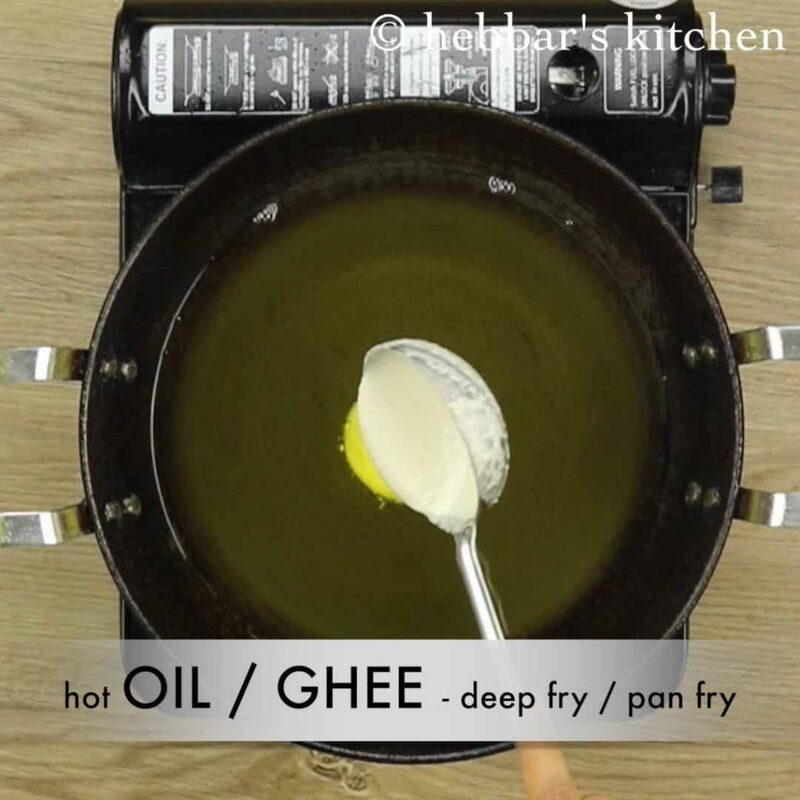 pour the batter into hot oil / ghee. 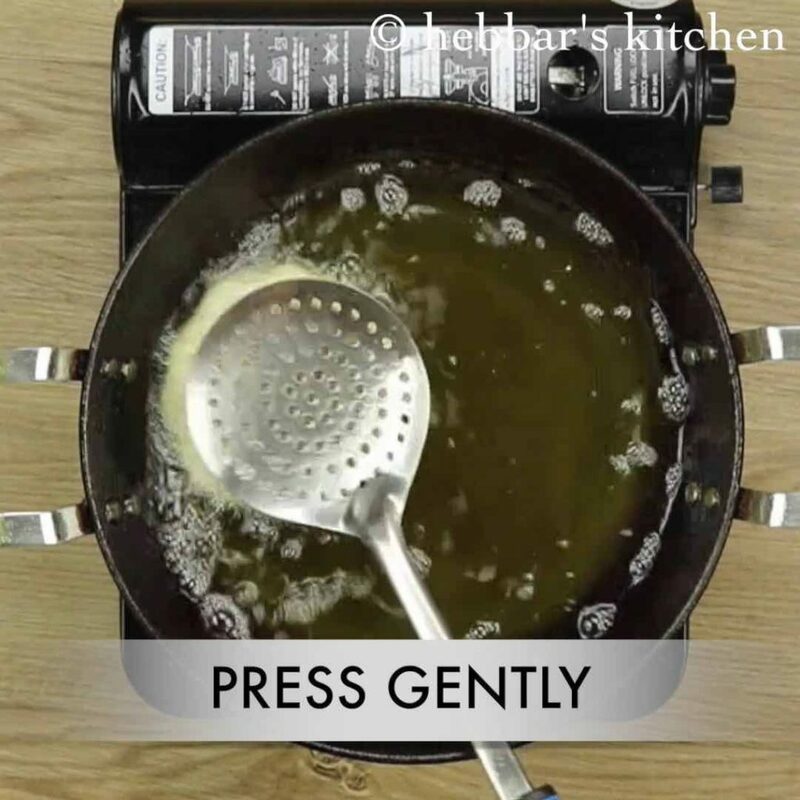 you can also pan fry for more healthy option. now fry both sides on medium flame , till they turn golden brown. 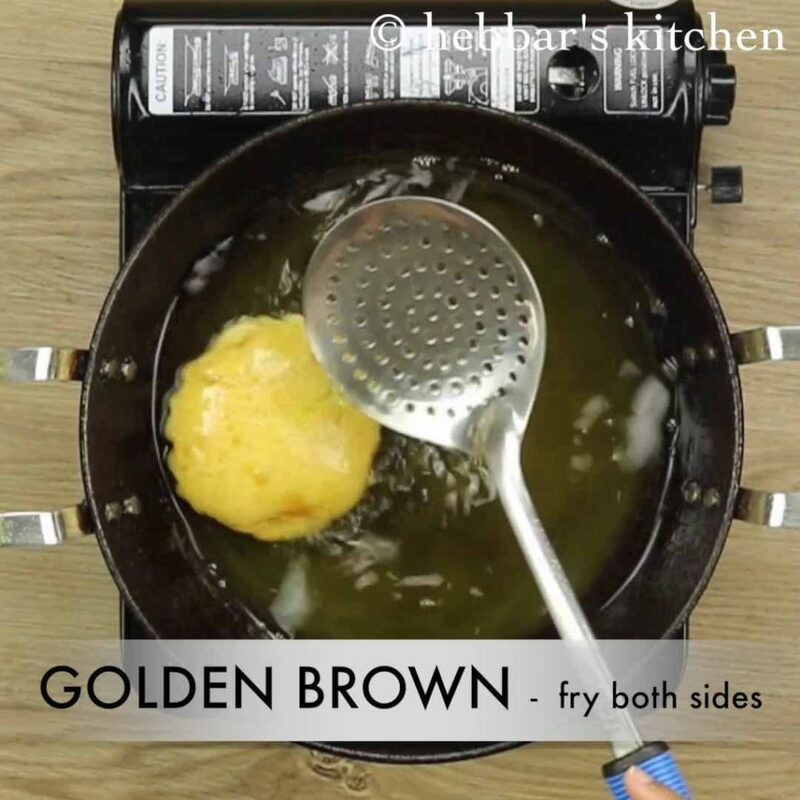 you can alternatively fry only till they slightly turn light brown on both sides. drain the malpuas onto the a kitchen towel to remove excess oil. alternatively, with the help of another spatula, press and squeeze off excess ghee / oil. firstly, use thickened milk or rabri to make more rich malpuas. 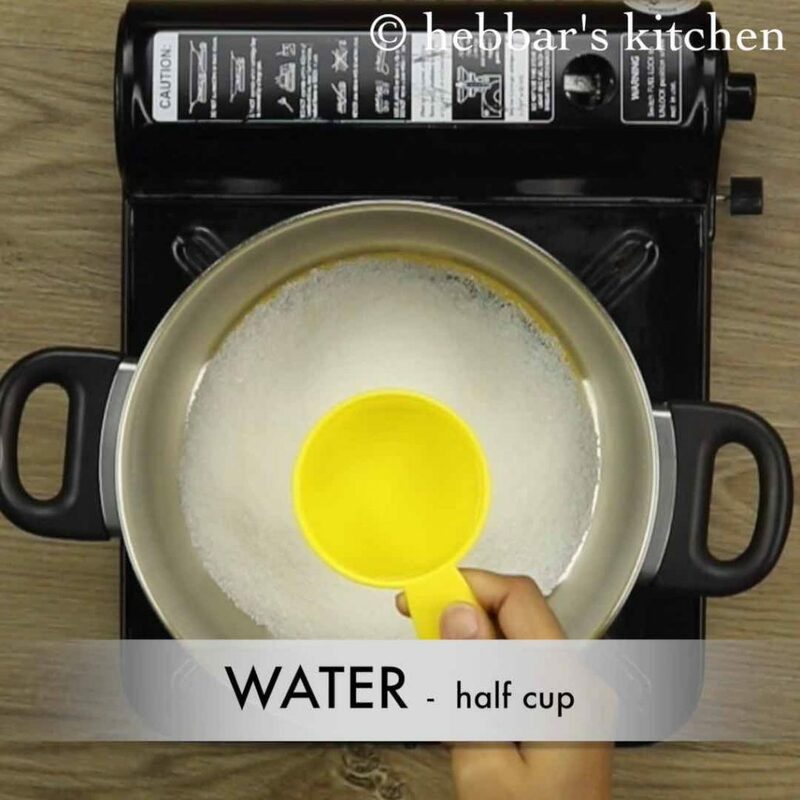 additionally, use khoya while preparing batter instead of milk. khoya adds more flavour. 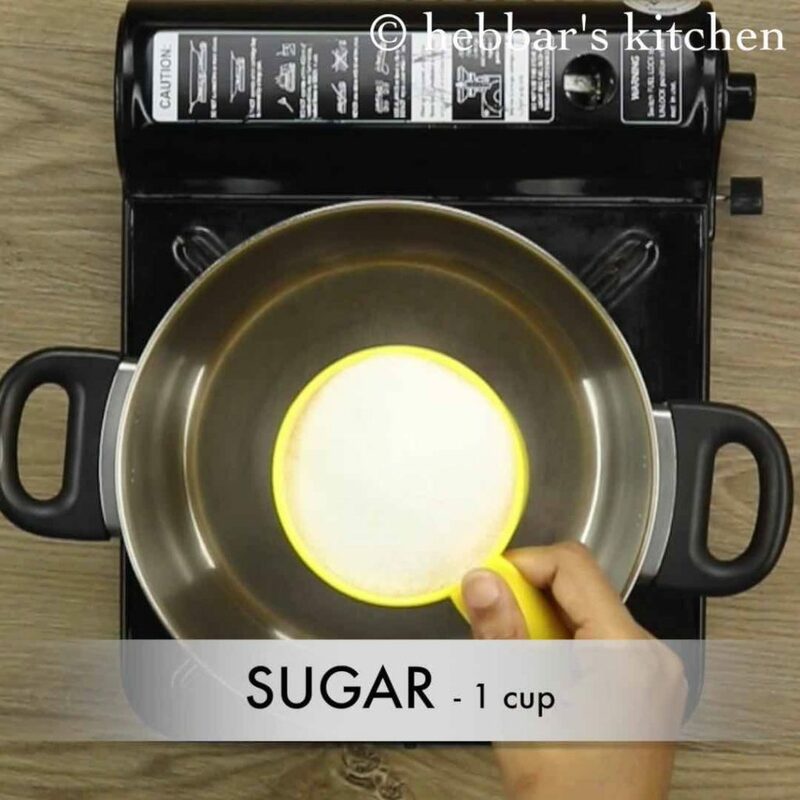 also addition of sugar to batter is optional, however, it increases the amount of sweetness of malpura. finally, malpua or malpura taste great when served hot with rabri. Mam I really like your recipes. its a pleasure to watch your videos. Does it tastes good even after it becomes cool? it tastes great when served hot, but can be consumed later too. In malpua ripe banana is also used . 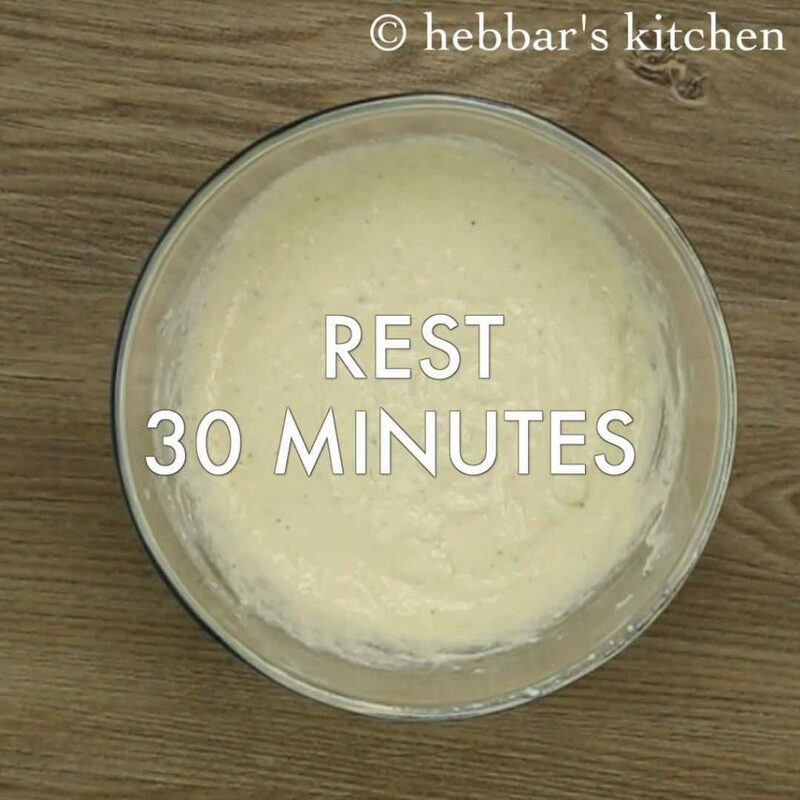 please share the correct recipe.